Man, this phone has been on the news day and night, and before today, there was no sign of it being stopped if the phone is not releasing today. 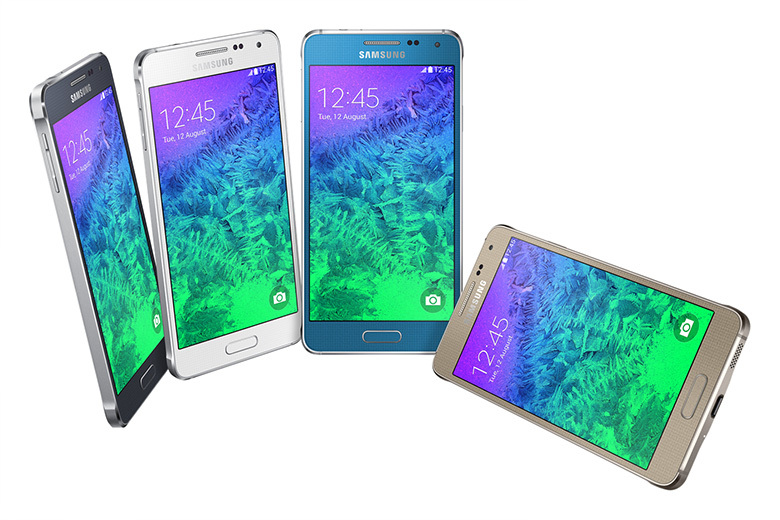 However, it did, Samsung has announced its metal frame device “for the first time in forever,” say hello to the “evolution of Galaxy design,” the Galaxy Alpha. Specification wise, the phone features an octa-core (dual quad-core chip) made up of a quad-core processor clocks at 1.8 GHz and a quad-core unit clocks at 1.3 GHz, a 4.7-inch Super AMOLED 720p display, 2GB of RAM, 32GB of built-in storage (not expandable), 12MP rear-camera and 2.1 front-facing. As well as usual Bluetooth 4.0, USB 2.0, NFC. The phone powered by a 1,860 mAh battery. On top of it is Android 4.4.4 and TouchWiz skin. The phone will be available begins in September in five color options: Charcoal Black, Dazzling White, Frosted Gold, Sleek Silver, and Scuba Blue. No information on the price just yet. Next Nexus 6 might just be one hell of a phone?